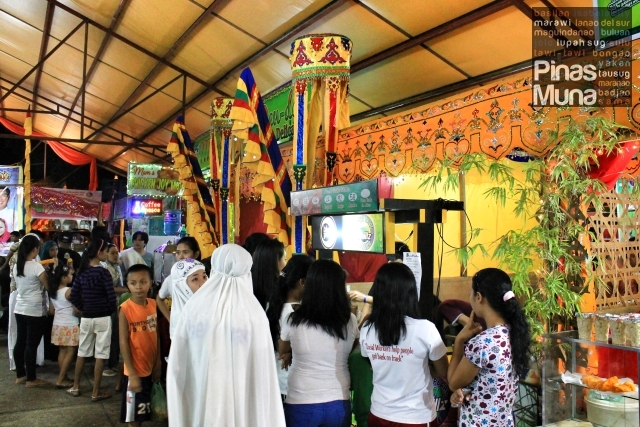 The Autonomous Region in Muslim Mindanao (ARMM), through the Department of Tourism ARMM, is once again holding the month-long Ramadan Fair at the ARMM Compound (ORG Complex) in Cotabato City. 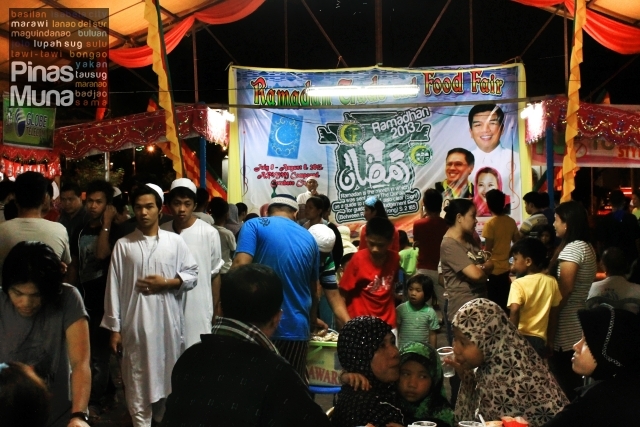 At the core of the Ramadan 2013 activities is the Ramadan Food & Trade Fair which showcases the rich culture of the ARMM through its diverse culinary specialties and handicrafts. Food and non-Food stalls dressed in the colorful Maguindanaoan style are such a treat for the sight and add to the festive atmosphere of the venue. The events run from July 8 to August 10, 2013. After the Maghrib prayer (prayer at dusk), families and friends would start to flock to the Ramadan Food & Trade Fair for dinner. The event is not exclusive for Muslims, in fact non-Muslims are very much welcome to participate in the activities. 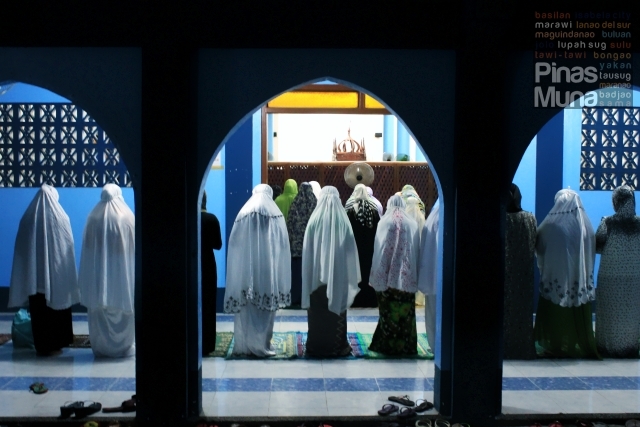 You can see different groups of friends of mixed Muslims and non-Muslims, which is a testament of the harmonious cultural coexistence in Cotabato City. Various food stalls are selling native delicacies from various towns and provinces of the ARMM. 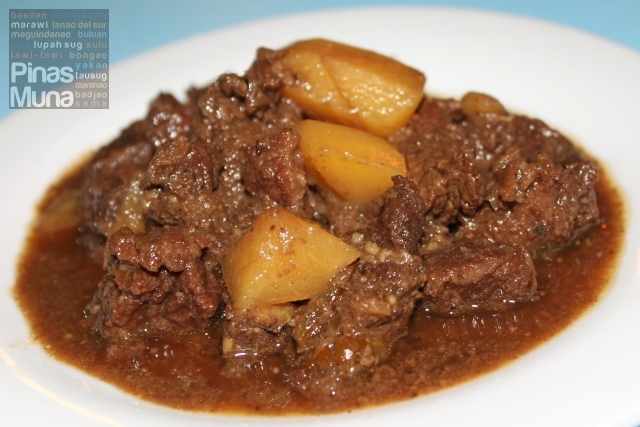 If it is your first time in Cotabato City, you shouldn't miss the Beef Sinina, a Maguindanaoan dish similar to beef stew. A number of food stalls also sell Maranao cuisine. We highly recommend the Maranao specialty dish called Beef Rendang. It is so good that we even bought one serving of the dish and took it back to Manila. Another interesting Maguindanaoan delicacy is the Kumukunsi. 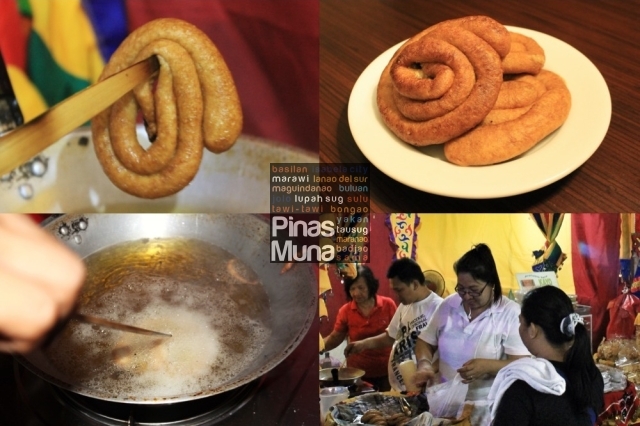 It is made of rice flour, duck eggs and sugar which are then deep fried in spiral shapes until golden brown. They taste like pancakes only in a different shape. Despite its odd look, kumukunsi is really delicious. One of the food stalls showcase various Maguindanaoa delicacies such as the dudul, tinadtag, putri mandi and panganan sising. 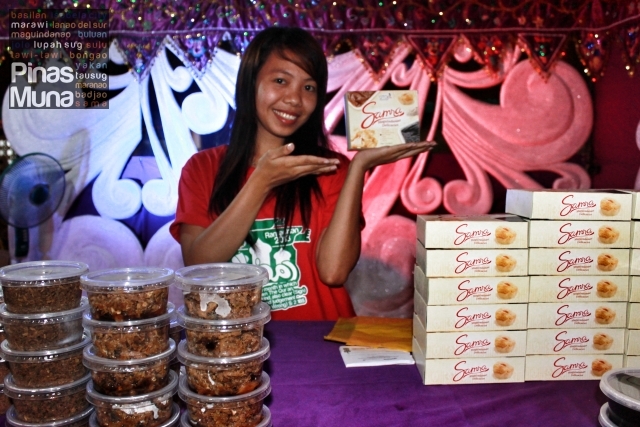 These products are the One Town One Product of Cotabato City and are proudly made by Samra Maguindanao Delicacies. Other activities organized by the DOT-ARMM are the Qur’an Reading Competition, Adopt-A Mosque, Daily Iftar Offering and Taraweeh at the Blue Mosque, Gift-Giving, Islamic Symposiums, and Inter-Agency Beautification Contest and Islamic Lantern Competition. Nightly programs are also presented at the Ramadan Food & Trade Fair including various cooking demonstrations and the Azan competition. Highlight of the month-long event are the Eid’l Fitr Festivities which includes Eid’l Fitr Congregational Prayer, Fireworks Display, Grand Kanduli, Pagana, Regional Food Festival as well as Cultural Presentations. It was truly a very unique experience to witness and participate in the Ramadan celebrations in ARMM. We learned about the festive side of Ramadan which celebrates brotherhood and peace. 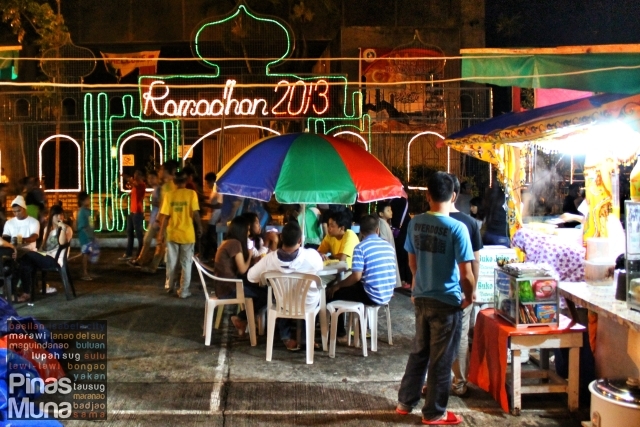 Ramadan showed us the real face of Bangsamoro, a peace and fun-loving people with rich culture and traditions. On Behalf of DOT-ARMM, we invite you to visit Cotabato City and experience the Ramadan celebrations in ARMM. Activities will run until August 10, 2013. We highly recommend that you visit during Eid'l Fitr to witness the highlights of the celebrations. We would like to thank ASec. 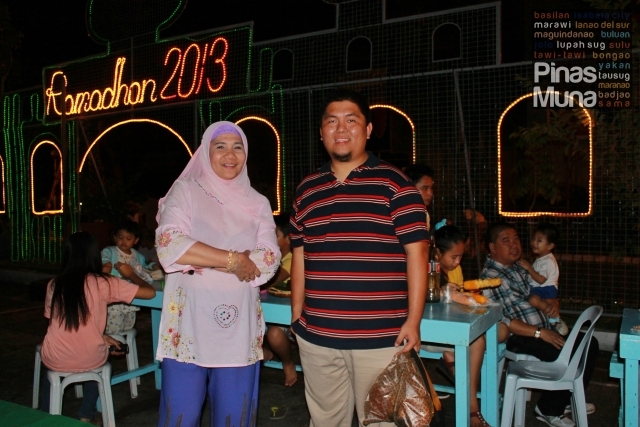 Bai Shalimar Candao of DOT-ARMM for her utmost hospitality. Our visit to ARMM wouldn't be a success without your help. More power to you and your hard working staff. We also wish to thank Ms. Marie Cris Batuampar for assisting us during our visit. Sukran!